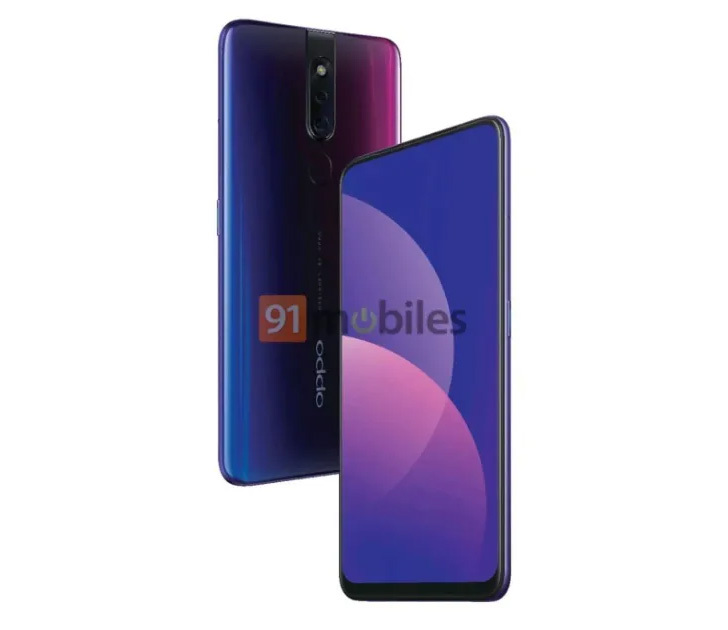 Oppo F11 Pro is an upcoming Chinese smartphone that recently got leaked. The phone appeared on an Indian website along with most of the key technical specifications. 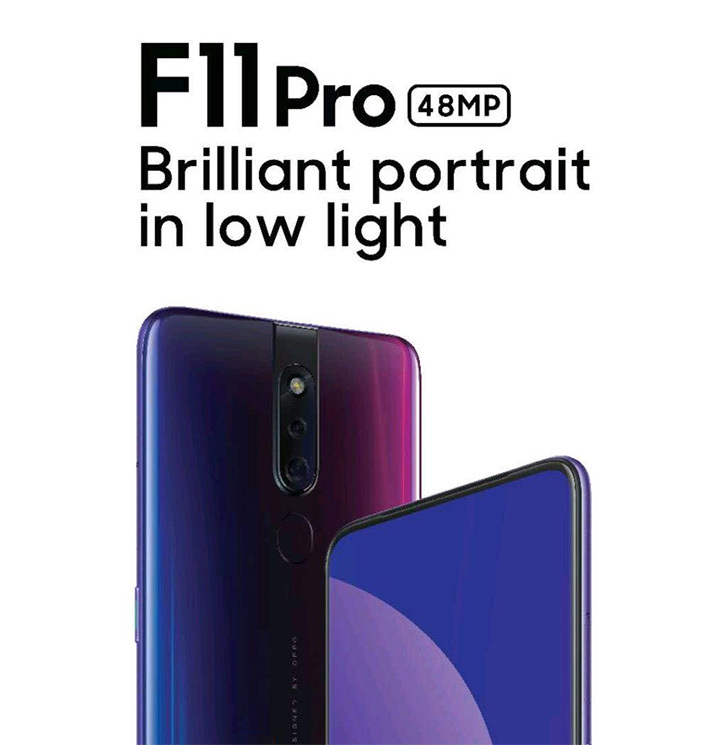 The F11 Pro will get a retractable / Pop-up selfie camera with a 32-megapixel sensor. The back will carry a dual camera setup with the 48 Mp sensor as the main one. 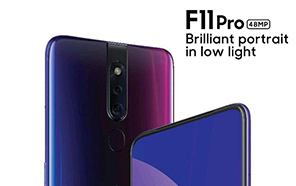 Oppo F11 Pro's launch seems pretty close as the leak source is said to be the OPPO’s distribution channel. 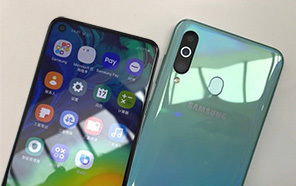 The leaked image clear shows front and the back of the phone. The screen covers almost the entire front panel and has minimum bezels. On the back, we see a dual camera with a flash on top. The main lens is a primary CMOS camera that features a 48MP sensor. 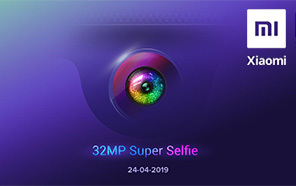 Just like the Vivo V15 Pro, Oppo F11 Pro will also get a pop-out 32-megapixel selfie camera. The fingerprint reader is placed on the back just below the camera setup. 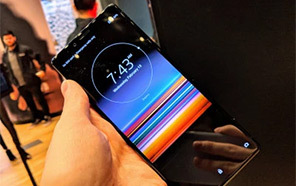 The device has got the looks and can certainly please just about anyone In terms of its design and appearance, that the price is expected to be around 25,000 Indian Rupees which comes to 49,000 Pakistani Rs. without Taxes. 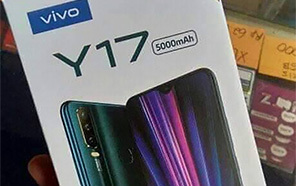 Other features of OPPO F11 Pro include a MediaTek Helio P70 processor under the hood supported by 6 GB of RAM and 64 GB of internal storage. The handset will come with a 6.5-inch display supporting Full HD + resolution at 1080 x 2340 pixels and a massive battery capacity of 4500mAh. Besides the pro variant, another liter version Oppo F11 is also expected that will be available at a lesser price.